Hone your time management skills, plus a newlywed couple’s brush with death, and a single guy can’t get it right with women. 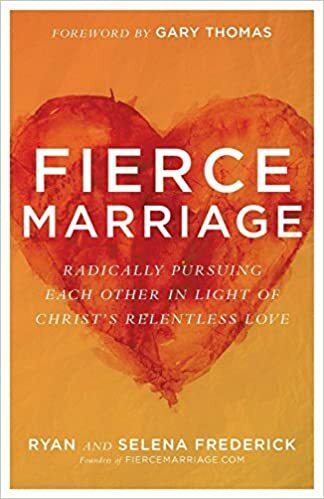 Donate a gift of any amount to Boundless and you’ll receive “Fierce Marriage” by Ryan and Selena Fredrick. How are millennials supposed to have quiet time, serve at church, cultivate good friendships, drink water, date, get ahead at work, and keep our kitchens clean? We can’t do it all, no matter how hard we try. This week we talk about time killers, time savers, burnout and the pressure to do it all. Imagine being a newlywed in your 20s, working in Switzerland at an equestrian center. Sounds like a dream, right? Now imagine your new spouse gets really sick and is hospitalized, then suddenly is writing a goodbye letter to you before undergoing a risky open heart surgery. That’s Ryan and Selena Fredrick’s story. Facing death in their first year of marriage changed everything for them. Hear their story and their encouragement for singles looking for lifelong love. He’s a decent single guy, but he’s struggling with the women in his life — so much so that moving to a remote island to avoid women seems appealing. His former girlfriend is dating someone and he’s struggling with jealousy, plus he seems to keep leading on his friends who are girls. Counselor Glenn Lutjens gives advice. Have a question about relationships, life or faith you'd like answered on the show? We'd love to hear from you!